It has been a good two years since the first of our cat boarding hotels opened in Singapore. We are grateful that we’ve had the opportunity of caring for hundreds of feline guests and alleviating the travel woes of cat owners islandwide! As we remain committed towards being the leaders in holiday cat care in Singapore, we would like to inform our customers of some impending upgrading works to one of our outlets. 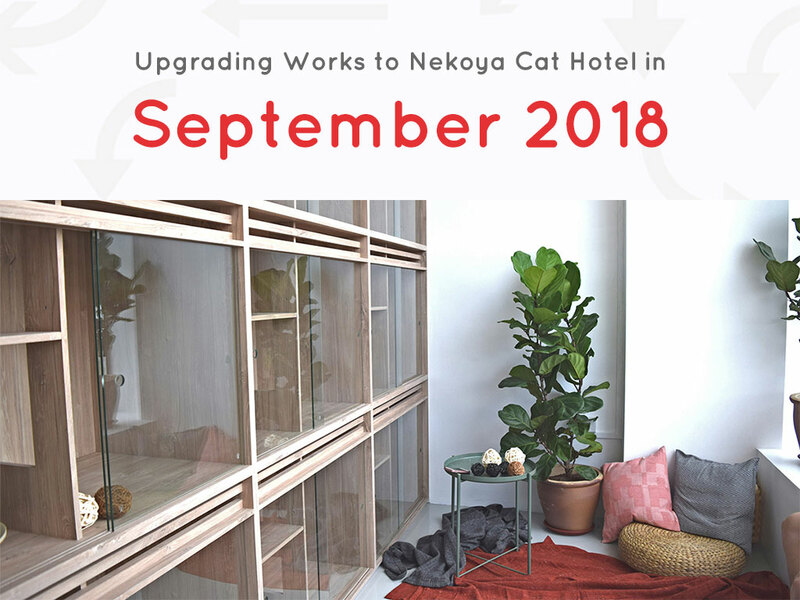 From the 1st of September 2018, the Nekoya Cat Hotel will cease operations at 80 Changi Road, #02-03, the Centropod. 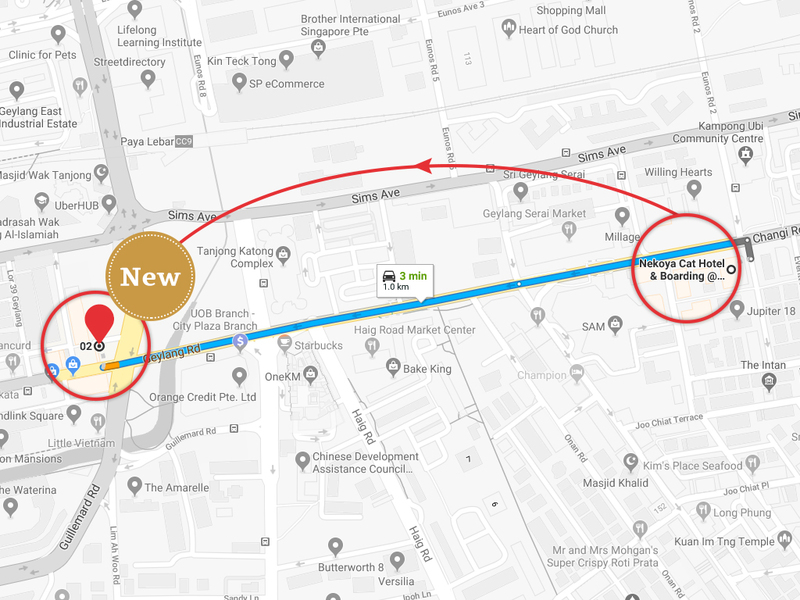 We will be upgrading to a larger space located at 797A Geylang Road, a 5 minute drive down the road, that will allow us to provide a better cat boarding experience in the years to come. For cat owners looking to board their cats with us from the 1st to the 9th of September 2018, we continue to accept bookings at the Nekoya Cat Hotel (KAP), located in Bukit Timah. If you will be inconvenienced by our closure, we encourage you to call either of our outlets so our caretakers can arrange for special arrangements on your behalf to facilitate a smooth vacation for you and your feline companion. We expect operations to begin at our new facility from 10th September 2018. We apologize for any inconvenience caused as a result of our expansion and renovations and look forward to serving you at Nekoya Cat Hotel (Paya Lebar) soon!